View the web page version here. 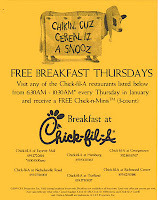 If you are in the Lexington Area it is FREE breakfast on Thursdays time again. 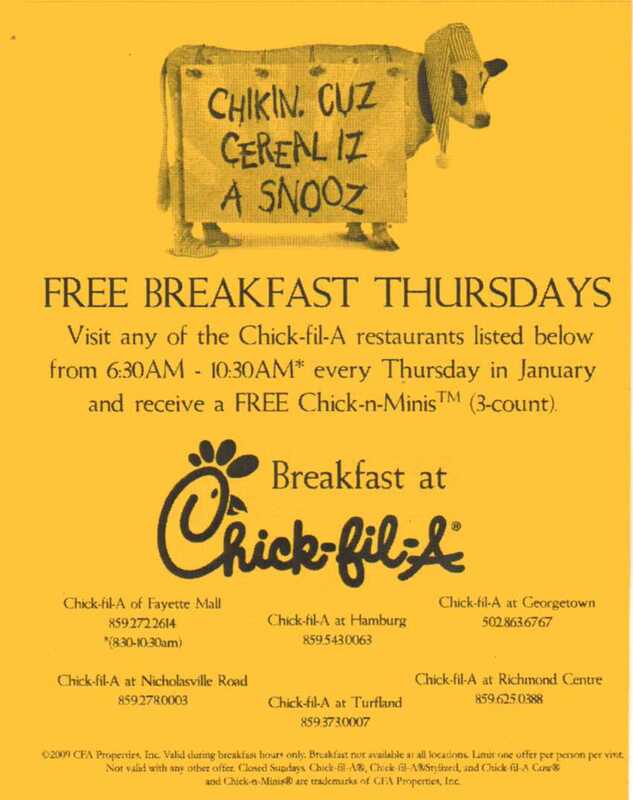 Go to any Lexington Area CFA from 6:30 AM - 10:30 AM on Thursdays in January and you will receive a FREE Chick-n-Minis 3 count. If you are not in the Lexington Area keep an eye out for this promotion in your area.